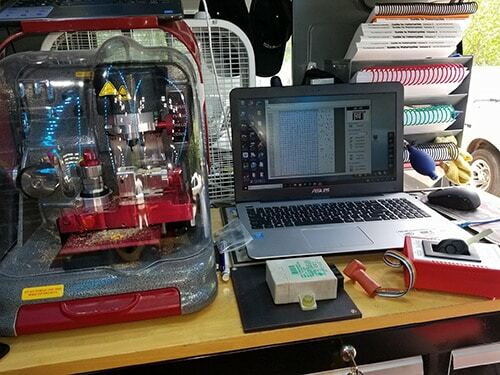 This is our key cutting and car remote-programming setup on our locksmith van. Need a couple copies of your house or car keys made? You can run to your local hardware store and have copies made with one of those automated key cutting kiosks, but there’s a good chance those copies won’t work well (or at all) because the equipment isn’t properly maintained, and they’re not operated by certified techs. The other downside is that you won’t know the keys don’t work until you get home and try them out. If you want to save yourself time and frustration, give us a call and we’ll come to you to make your key copies. As a mobile locksmith service, we have key cutting equipment right on our vans along with thousands of key blanks for any type of automotive, home, or commercial lock you may have. Our highly-skilled technicians can create copies of keys for your home, car, motorcycle, boat, or business that are guaranteed to work the first time and every time. 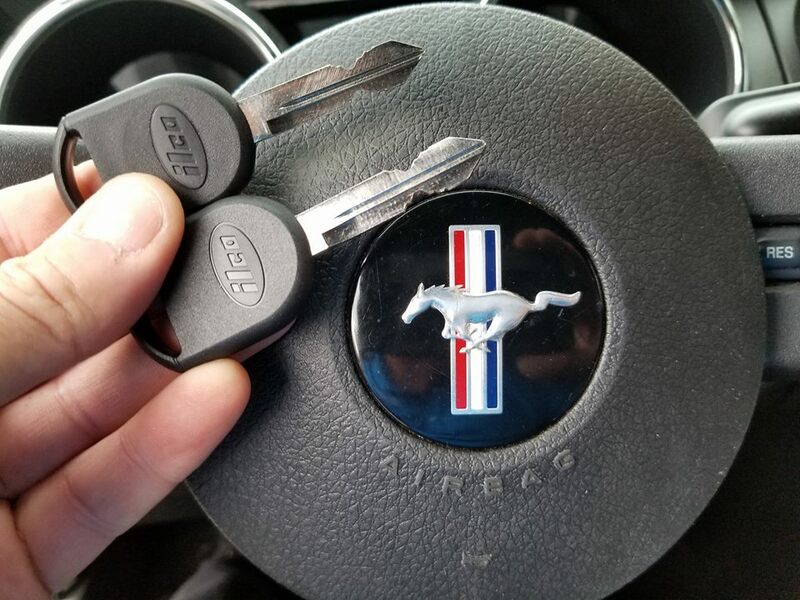 A couple of copies of a 2-sided Ford Mustang key. Key copies we made for a customer’s desk. If you’re looking for a highly skilled locksmith to make your key copies, Danny is your guy. With over 20 years in the industry and the experience of owning two different locksmith businesses, Danny has an edge over other locksmiths in the area, and a huge advantage compared to the computer key kiosks around town. 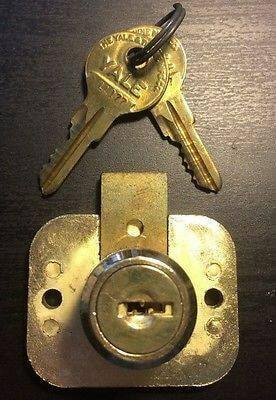 When we make a key, we won’t leave until it works perfectly. Your satisfaction is our goal whether we’re programming a car key or rekeying your house lock and making you a new set of keys to protect your family. We use only the highest quality key blanks that should last you 10-20 years.